In the famous words of Butch Cassidy and the Sundance Kid, who are those guys — that is, the cowboys hired by the U.S. Politburo of Land Management (BLM) to steal the Bundy cattle for them in Nevada? Why aren’t their names printed on the front page of all the newspapers in the state? According to news reports, the Politburo paid them $966,000 in taxpayer dollars to conduct the theft of Mr. Bundy’s cattle, killing some of them (including two bulls) in the process. You can find facts like this on the Web, but no names. Why not? What kind of “journalism” is this? 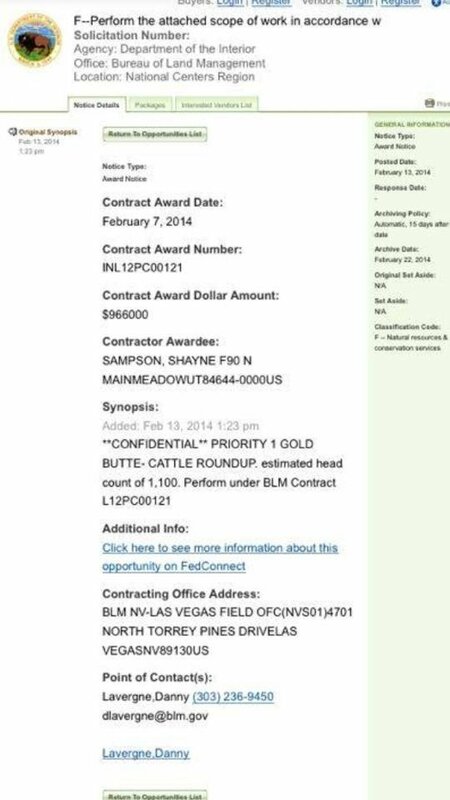 UPDATE: Jerri W. has apparently “scooped” the New York Times, Washington Post, CNBC, CNN, ETC., by sending along what appears to be the actual cattle-rustling contract between the BLM and one Shayne Sampson of Meadows, Utah. Another emailer who says he grew up on a cattle ranch in Texas writes to say that no real cowboys would have killed several bulls in a roundup, as the BLM’s cattle rustlers did on the Bundy ranch. That’s the kind of thing one expects from cattle rustlers (i.e., criminal thugs), not real cowboys, he said. Walter Block - Who Will Build the Roads?